Hands up if you love a good campfire? Silly question – who doesn’t? There’s nothing better than relaxing around a glowing pile of logs, that satisfying crackle as the heap of wood burns, whilst the glowing flames mesmerise you. Lucky for us, more and more campsites are allowing campfires, and here at Cool Camping we’ve put together a list of our favourite campfire-friendly campsites in North Wales so that you’ll know exactly where to look on your next camping trip. From camping on a clifftop on the Llŷn Peninsula and pitching a tent in Snowdonia National Park, to glamping in a converted fishing boat or a handcrafted shepherd’s hut, every single campsite on this list allows you to enjoy a campfire on your holiday In fact, most positively encourage them. 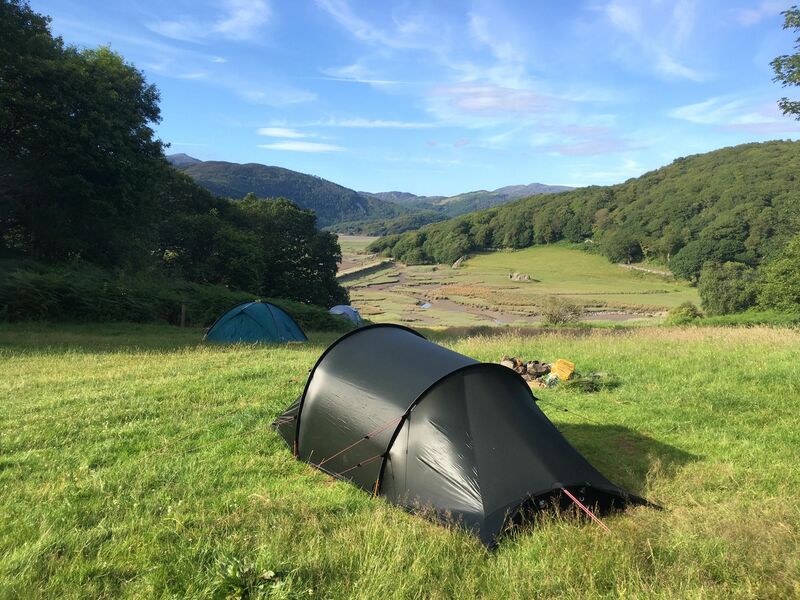 In a tranquil woodland spot in Snowdonia National Park, award-winning Graig Wen overlooks the Mawddach Estuary (once a centre for gold panning and now renowned for its natural beauty), while Cader Idris provides an epic backdrop behind. It’s a short walk to the beach (and the pub), while, if you fancy a cycle, follow your gaze down to the estuary and pedal the eight-mile Mawddach trail. Bring your family, including your dog, and choose your spot; their grass camping pitches offer great views and there are also glamping options. The added bonus? Campfire are allowed, of course! You can spend the evening cosy and warm, toasting marshmallows and gazing up at the area's famously dark skies. 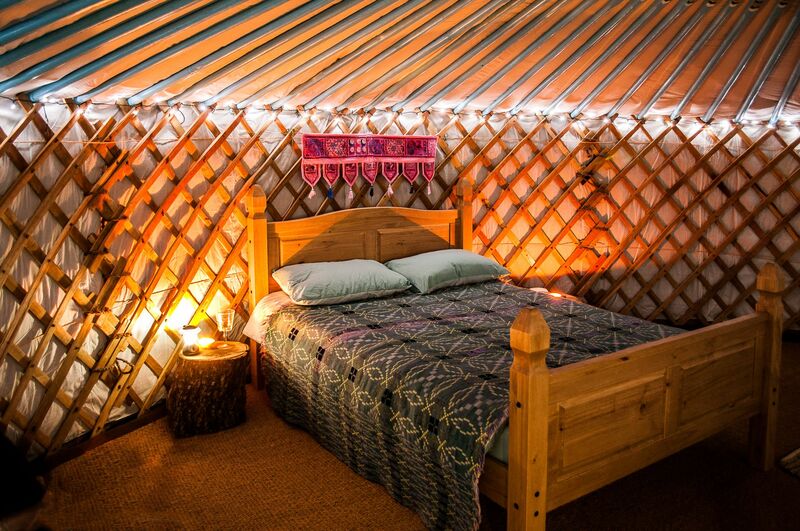 Nestled on the east slopes of the Conwy Valley on the edge of Snowdonia National Park, you’ll find Ffrith Galed Yurts, a gloriously secluded glamping site that is home to just three handcrafted Mongolian yurts. Which one will you choose? Rhiannon, Branwen, or Ariana? The good news is, while each enjoys the privacy of its own meadow, they also all share a communal campfire, perfect for sitting round of an evening and sharing stories. By day, you can steep yourself in history at nearby Conwy Castle, or amble along the parish footpaths that scenically lead you down to Llanrwst, once the centre of the UK’s wool trade. But the real draw here is undoubtedly the national park – whether you’re simply taking in the great peak of 1,064 metres Carnedd Llewelyn from a distance or going out and climbing it. Imagine lighting a campfire on a cliff edge, listening to the soothing sound of waves crashing below. 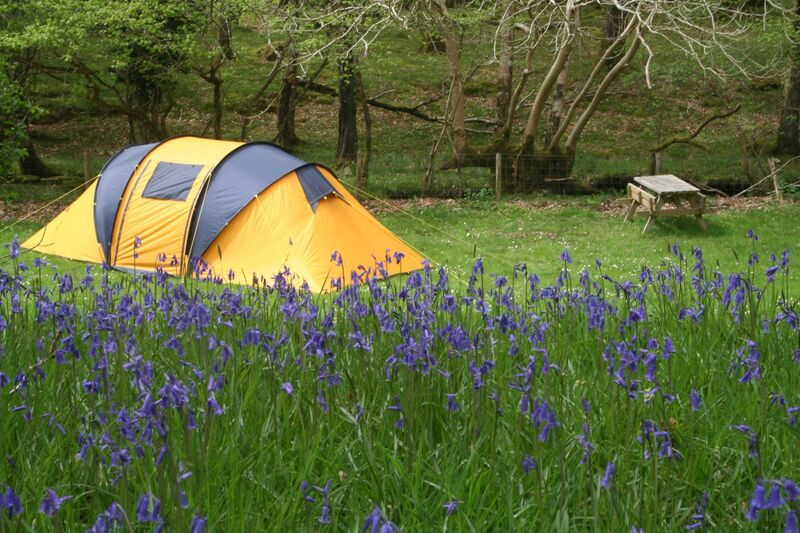 That’s exactly what you can do at Treheli Farm, a simple meadow campsite on the Llŷn Peninsula. It might be basic in terms of facilities (toilets and showers can be found at the farmhouse over the road), but the whole point about Treheli is the location – perched several hundred metres above sea level, overlooking the beach of Porth Neigwl and the turquoise waters beyond. It’s a tranquil spot, one that’s sheltered from the southwesterlies that bring impressive waves (not to mention the surfers) to the bay below. A short scramble down leads you to the four-mile-long stretch of sand – collect some drift wood, then head back up and light that campfire. 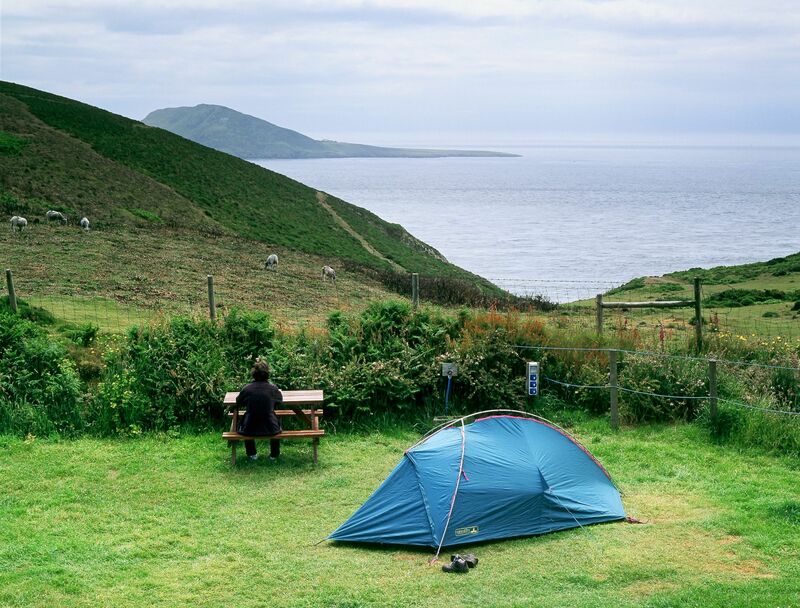 Sheltered from the winds at the western tip of the Llŷn Peninsula you’ll find Mynydd Mawr, an out-of-the-way campsite overlooking the mysterious Bardsey island, which according to legend is home to the remains of 20,000 saints. Tents, campervans, caravans and motorhomes are all welcome at this small, remote site, where the thing that’s likely to hit city slickers is the absolute peace and quiet. For brekkie, head to the onsite café and munch on one of Carol’s legendary bacon butties, before picking up the scenic Llŷn Peninsula Coastal Path and wandering to the picturesque hamlet of Aberdaron, just a mile and a half away. 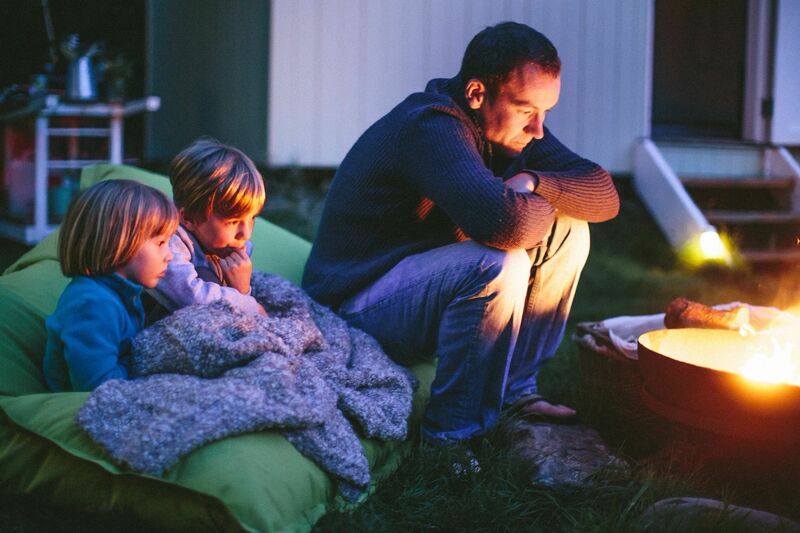 Come nighttime, warm yourself back at camp around a campfire and appreciate the quiet. What could be better that cooking your dinner over an open fire? 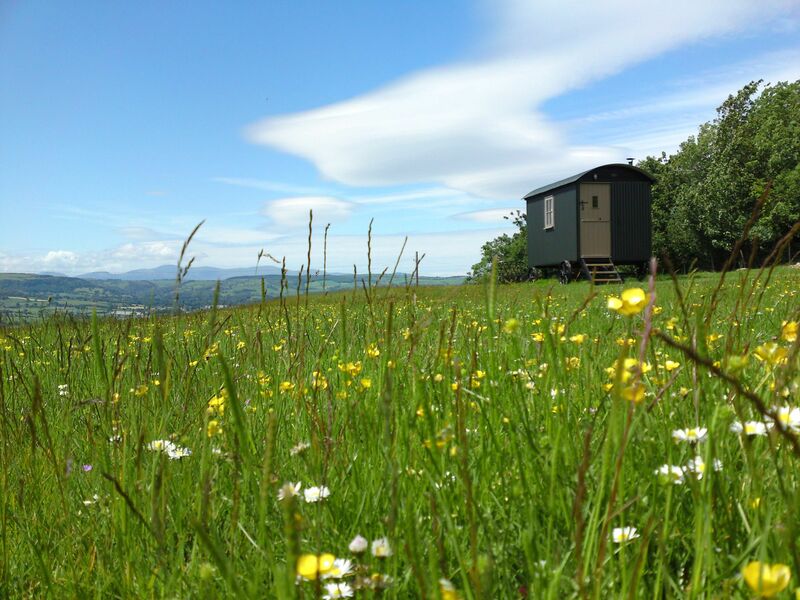 You can do that every night at Snowdonia Shepherds’ Huts, and owner Hazel will even prepare a hamper for you, full of Welsh goodies like mountain lamb and black beef. Tucked away on a private hillside in the Conwy Valley, this riverside retreat is the epitome of luxury glamping – two shepherds’ huts (the ‘living’ hut, decorated in soothing shades of eggshell, and the ‘washing’ hut, replete with a wood-burning sauna), positioned above a bubbling stream, surrounded by rolling countryside. If you feel like some exercise, cycle down to the Machno Trail, an 11-mile loop through scenic forest with fast descents and leg-testing climbs. Camping doesn’t get much better than at Smugglers Cove Boatyard. Or more eclectic and unique. 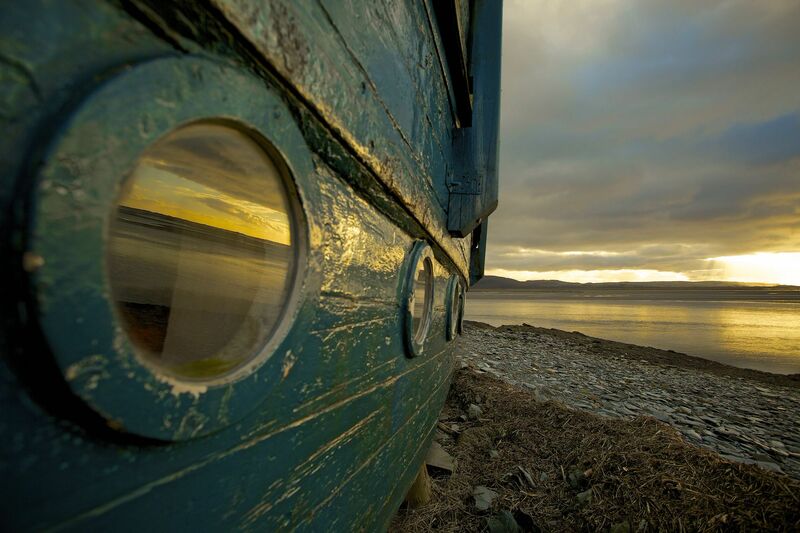 Picture this: a spectacular waterside location on the Dyfi estuary, where you can rustic glamp in a converted fishing boat, The Boy John, or pitch up a tent in one of the boatyard’s three individual wild camping spots. As dawn breaks, brew a cup of coffee over a campfire and take in the exceptional sea views. You’re sure to spot plenty of birds – look across the water and there’s the RSPB Ynys-hir on the opposite shore. Oh, and don’t forget that when the tide goes out there’s a beach too! 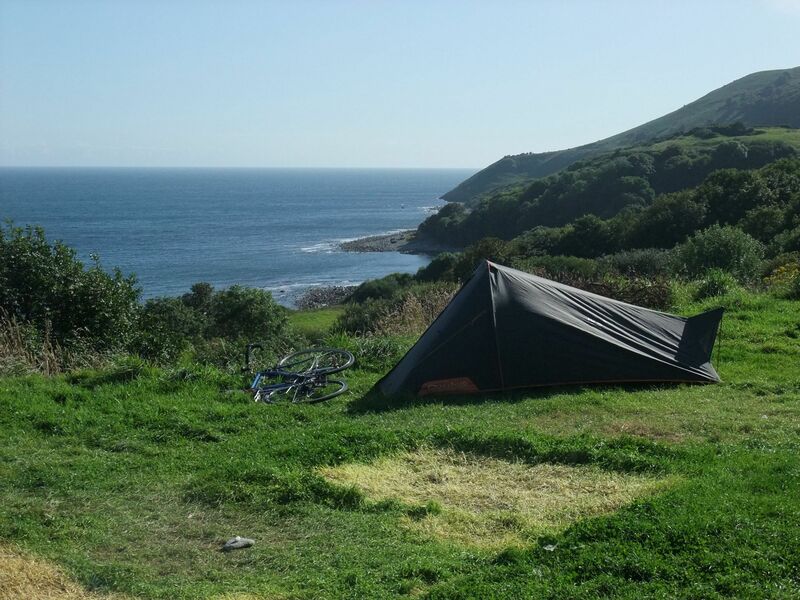 Here is a campsite in a prime location, on the tip of the rugged cliff and cove-lined Llŷn Peninsula, with views to nearby Bardsey Island, two miles away. 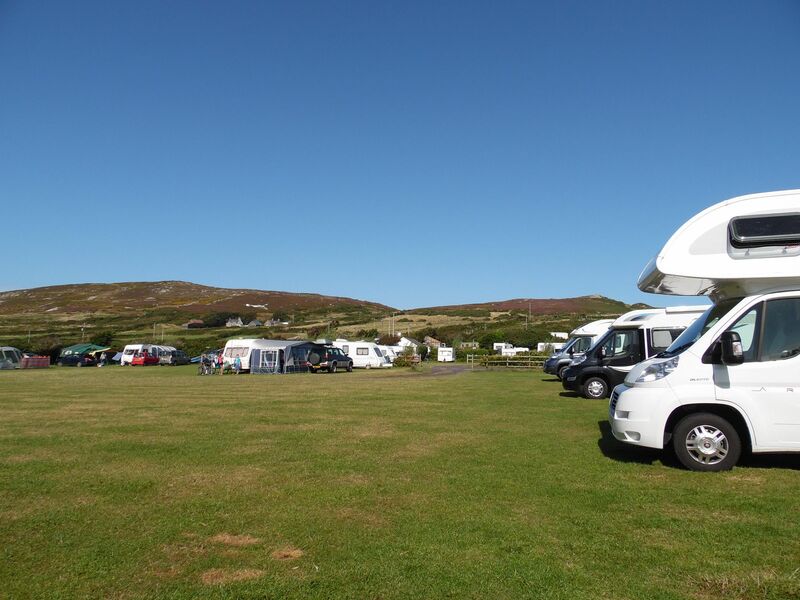 This isn’t just a site for tents – you can take your campervan or motorhome to the charming 40-pitch site, and your furry friend is welcome too. Whatever the time of year, you’ll want to light a campfire – who can resist? Lovers of the outdoors will be in their element here – take a trip over to Bardsey, a nature reserve and a designated Site of Scientific Interest, or trek the seven-miles up to the Mynydd Mawr monument at the top of the headland. Against the backdrop of Snowdonia’s Carneddau range, Mountain Lodge Glamping perches on a hilltop above Gothic folly Gwrych Castle – a unique off-grid site, oozing rustic charm. Two shepherd’s huts act as bedrooms, with a stable and barn for living quarters, whilst a cute stone hut for two sits 200 metres away. There are wood-burning stoves to cosy up to indoors, and you’re welcome to light a campfire for warmth outdoors. Nothing is too much trouble for hosts Tudor and Penny – you can look forward to freshly-baked Welsh cakes when you arrive, and breakfast delivered to your door. If you can peel yourself away, go exploring on two-wheels – there’s a coastal path just two miles away, and for those seeking a good pub, Colwyn Bay’s The White Lion Inn is just down the lane. This is a campsite that certainly lives up to its name. Nestled in a picturesque Snowdonian valley, Dinas is small, quiet and family-friendly, with all manner of camping options – pitch your tent in one of the 30 spaces, glamp in a luxe bell-tent, or self-cater in a caravan. Wherever you camp (stream-side or surrounded by the tall oak trees), you’ll have your own wooden picnic table. Plus, campfires are positively encouraged – a refreshing find within the all-too-often restricted realms of the national park’s official boundaries. If you fancy hitting the beach, the nearest stretch of sand is just three miles away, and for the walkers amongst you, there’s direct access to The Ardudwy Way – pick a section of this 24-mile long trail and get trekking. Who can resist a beautiful sunset? As the sun goes down at Llwyndu Farm Hut, a mass of different shades fill the sky, it really does have to be seen to be believed. 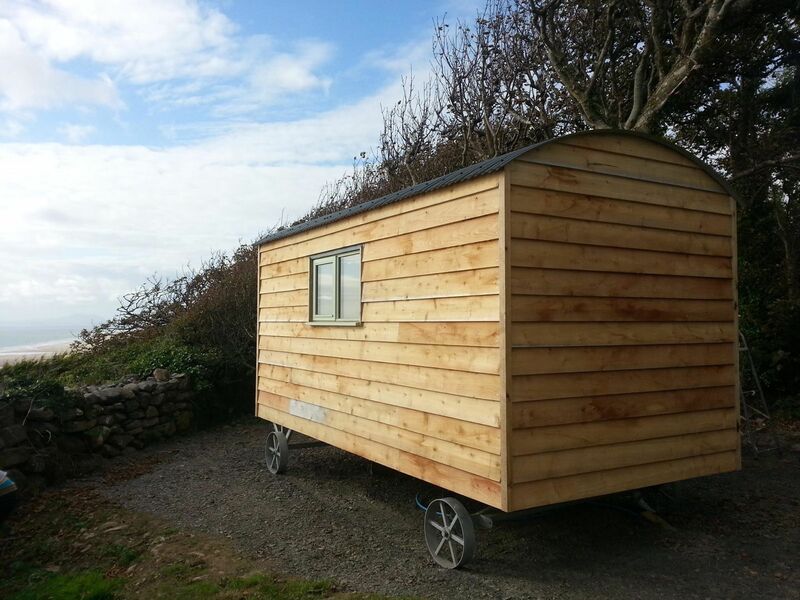 Besides that, Llwyndu has plenty to offer – a sumptuously decorated two-person shepherd’s hut to bunker down in, with Snowdonia’s Rhinog Mountains as its backdrop, and a beach at your feet. One word: bliss. There are outdoor activities aplenty, but for the culture vultures amongst you, Harlech Castle is just a twenty minute drive away. Back at the Llwyndu, you’ve got your own barbecue and a wood burning firepit, but if you fancy a slap-up meal (using local Welsh ingredients of course), head up the slope to Llwyndu Farmhouse B&B – think Rhydlewis smoked salmon, and Abersoch salt marsh lamb.